December 2003. Joe Skivington, Kelso, Scotland, sent in this class photograph of his mother Rose-Ann Murty. ".........I just found out about this website on October 2nd. My cousin saw the picture of the class l946-7 and recognized my picture. I am 5th. In the front row. 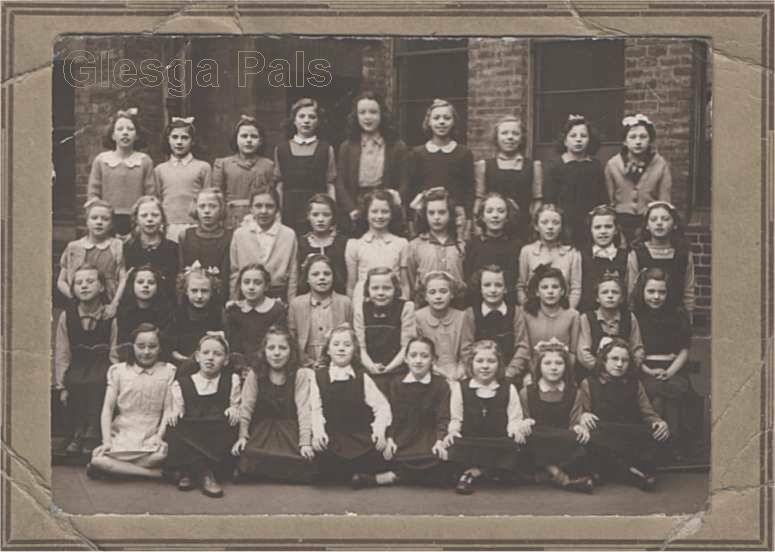 I was so happy to find a school photograph as most of mine have been lost. I moved to Canada in May l950 with my Mother and sister to live with two older sisters that had moved to Canada earlier. I would love to learn the names of the other girls in the class. I later went to Our Lady and St. Francis School on Charlotte Street and left there to come to Canada. I now live in Burlington Ontario. I am looking forward to learning more of this wonderful site. Sacred Heart, 1946 / 47 photo, Row Three No. 7 is Marion Lavelle!